What’s the problem, leftists? Weren’t we supposed to emulate what they do in other countries because America is so horrible? 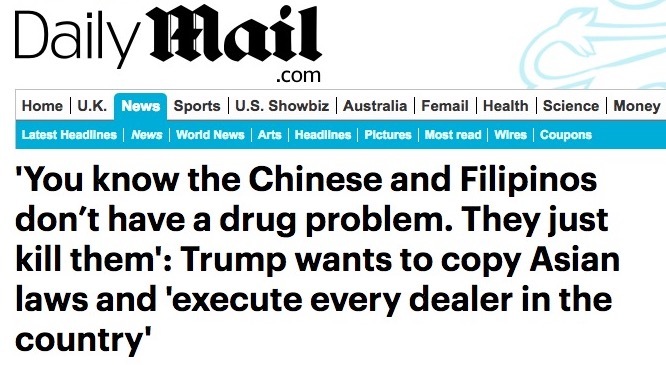 It’s been reported that President Trump has admired the authoritarian regimes in Singapore and the Philippines for their handling of drug dealers. Before you pick a side on this one, read the whole article. President Donald Trump has for months been speaking about his desire to have every drug dealer in the country executed, according to a new report. 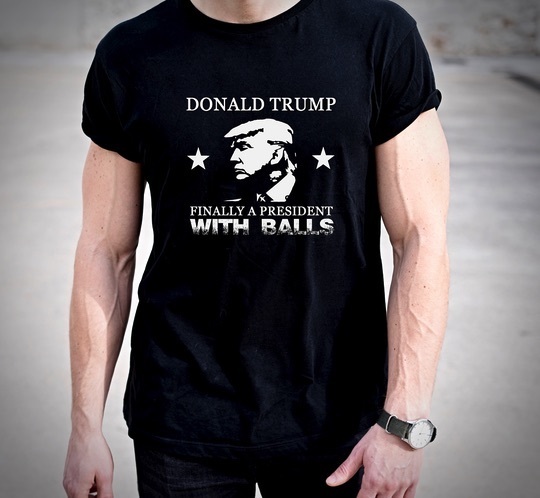 The inspiration for the president’s idea is allegedly the laws in countries like Singapore, where the death penalty is mandatory for drug trafficking offences, and the Philippines, where the president is currently heading a bloody ‘drug war’. ‘[Trump] says, “When I ask the prime minister of Singapore do they have a drug problem [the prime minister replies,] “No. Death penalty,”‘ a source who says he’s discussed the matter with the president told Axios. According to five different sources, Trump is passionate about the issue, often saying drug dealers are as bad as serial killers and should all be punished with death. ‘He often jokes about killing drug dealers… He’ll say, ‘You know the Chinese and Filipinos don’t have a drug problem. They just kill them,‘ an anonymous senior administration official told Axios. Trump reportedly thinks a soft approach to drug offences will ‘never’ work and tells those close to him that the government has to teach children that they will die if they take drugs and make drug dealers fear for their lives. Although, let’s be real — those that agree with President Trump that illicit drugs are destructive will have a kneejerk reaction and think that this is a great idea. But then, there would need to be some pretty heavy-duty caveats before you can allow the state to take someones life. Like, what quantity of drugs does someone have to have in their possession for it to be considered ‘dealing’? Kellyanne Conway was asked about it and she clarified the President’s position waaaaaay down at the very end of the article. The part that most readers won’t get to. According to Conway, Trump’s point is that many states execute criminals for killing just one person while dealers can cause mass casualties without equally harsh punishment. You know, that’s a pretty good point.